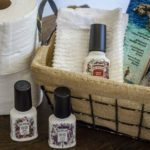 This post is sponsored by Bertolli in collaboration with popular pays. All op ions expressed are my own. I have linguine coming out of my ears. Well, not literally. It’s more like my pantry’s stocked up with it, along with other forms of pasta and noodles. 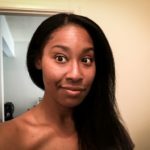 I’m serious! You’d think we were a family of bears stocking up for the winter. But I’m actually very glad I do this because it gives me the perfect excuse to try a new recipe that’s finger-licking good. 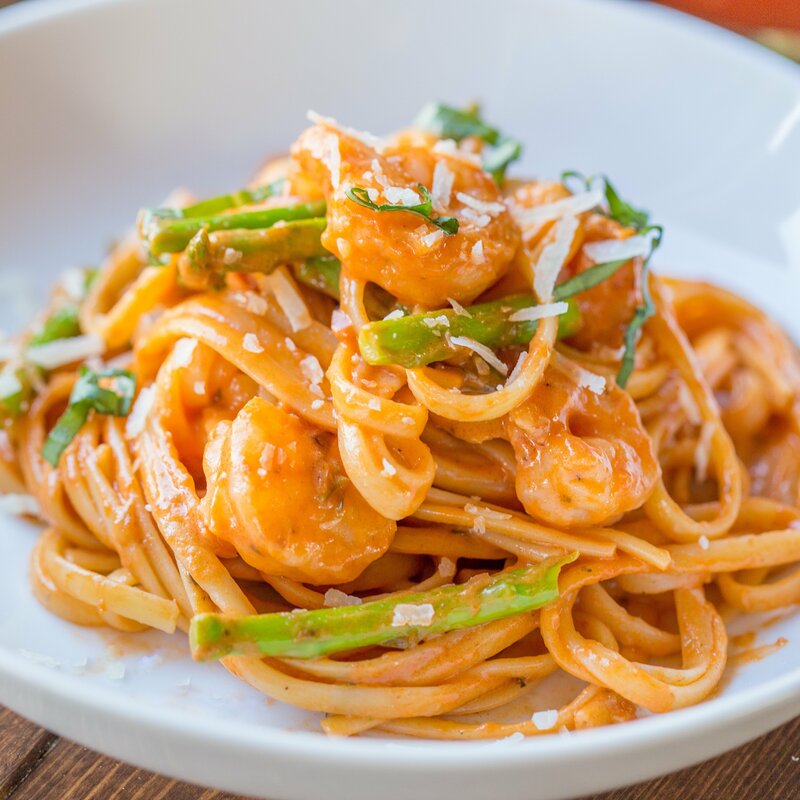 Ever since I tried this delicious shrimp and asparagus pasta in a Rosa Sauce, I’ve been feeling the need to share it with the world. Now, I know what you’re probably thinking, calories, calories! To you I say, I love carbs and I won’t apologize for it. Pasta makes my family and I feel full, and puts a huge smile on our faces, because it’s so delicious. Recent studies are even suggesting that pasta is actually good for weight-loss! What I love the most about pasta is that you don’t always have to go for the conventional classic red sauce. You can give it some pizzazz by adding other things to the mix like shrimp. Now the first time I decided to mix shrimp, pasta and asparagus together, I thought to myself, “Is this really going to turn out like I envisioned?” But I took a risk and tried it anyways because I knew it had the potential to be one scrumptious recipe. And you know something? It turned out delicious, and my entire family thought so too. Besides, adding shrimp to the dish gives it an instant Mediterranean flare because Mediterranean cooks are known for combining pasta and seafood, and so do Italians. And if there’s one thing Italians know how to do, it’s pasta. This dish isn’t only delicious, but pretty healthy too. By adding shrimp, you get omega-3 to your dish, which can help keep your triglycerides in check. Plus, you’ll also get some veggies in your body with the asparagus as well. So when you think about it, this dish will not only taste amazing, but it’ll do some serious damage control from all the carbs you’ll eat when you help yourself to seconds. Today’s recipe, I called “Shrimp in Asparagus Pasta In A Rosa Sauce”, and let me tell you, it’s so good, it’s worth getting the good China out for it. 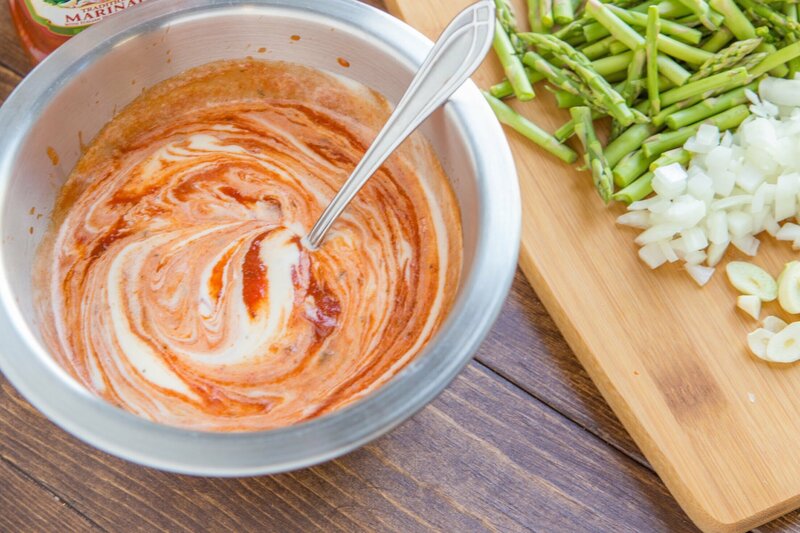 It’s also extremely flavorful, courtesy of Bertolli sauces . 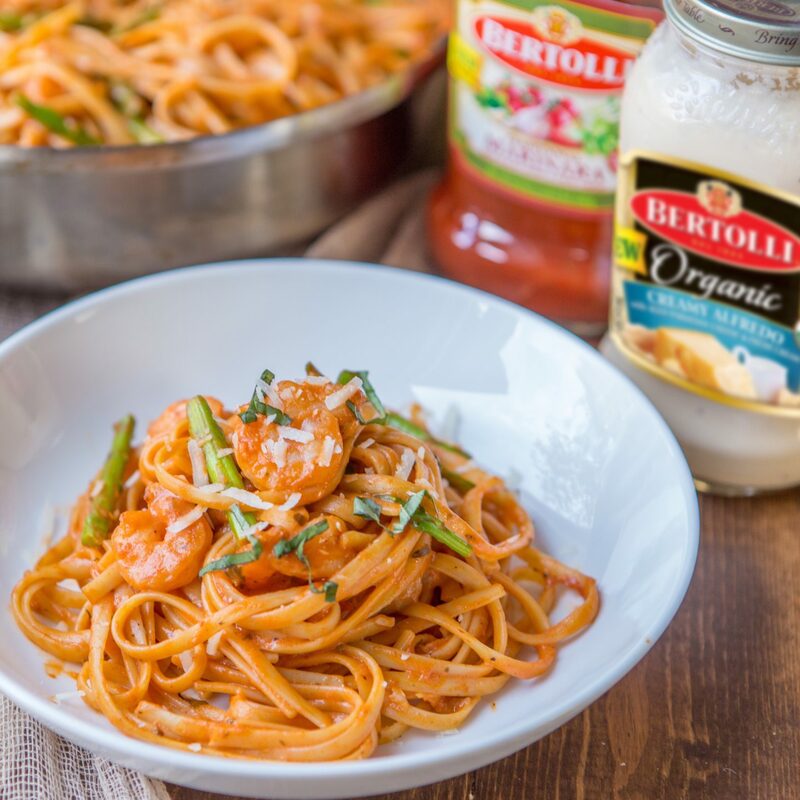 By combining Bertolli® Organic Creamy Alfredo Sauce and Bertolli® Traditional Marinara Sauce with Italian Herbs and Fresh Garlic , you’ll give your asparagus and linguine dish a serious “Wow” factor! 1. Bring a large pot of water to a boil, salt the water, and cook the pasta to package directions. Drain and set aside. 2. Sprinkle salt, oregano, and basil over shrimp and toss to coat. 3. Preheat skillet, and add 1 Tbsp oil. Add shrimp to skillet and sauté on medium heat in a single layer. Cook about 1 minute on each side, or until shrimp is no longer translucent. Remove from pan and set aside. 4. Add remaining 1 Tbsp olive oil and sauté over medium high heat, stirring occasionally, until onion begins to sweat translucent, around 1-2 minutes. 5. Add asparagus to onion and cook 2 minutes, or until it begins to soften around edges. 6. Add garlic and cook for another 30 seconds. 7. 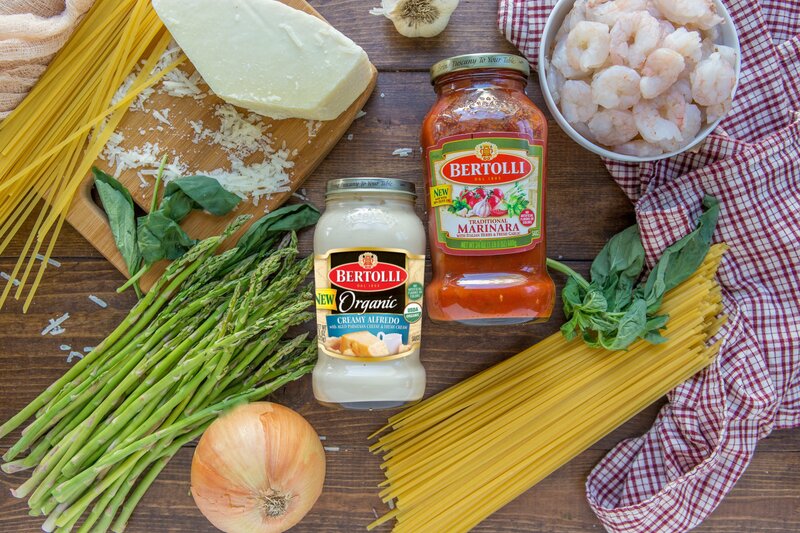 Add each jar of Bertolli® Pasta Sauce to pan along with shrimp. Heat for 1-2 minutes, and toss with pasta to coat. 8. Garnish with fresh basil and parmesan and serve. Granted, everyone had different tastes, but hopefully this recipe will be an absolute hit in your household like it was in mine. Trust me, after I made this shrimp and asparagus pasta in a Rosa sauce for the first time, it was so delicious, I now go out of my way to make this dish for my family at least once a week. So just mix everything in this recipe and prepare to treat your family the same tasty dish that I do. You won’t regret it.